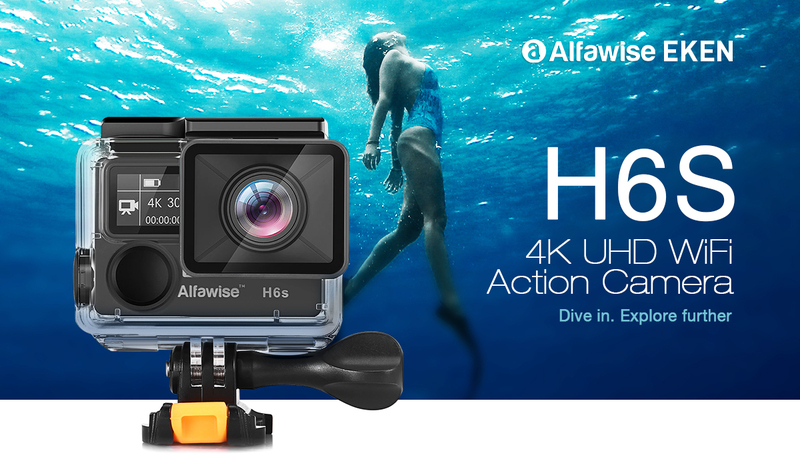 Alfawise, together with EKEN, launches amazingly cheap 4K cameras on the market. The smaller brother has already been tested, and although there have been shortcomings, we thought it was worth the price. The main reason for this was that Ambarella A12, one of the best set of 4Ks, works in the camera today. One of the biggest shortcomings of EKEN Alfawise V50 Pro was the total lack of vibration reduction, which could only be counterbalanced by one thing, the price below $ 60. You can find our test on EKEN Alfawise V50 Pro here: EKEN Alfawise V50 Pro - The cheapest real 4K camera I've been waiting for a year and a half! EKEN Alfawise H6s moves up one level. 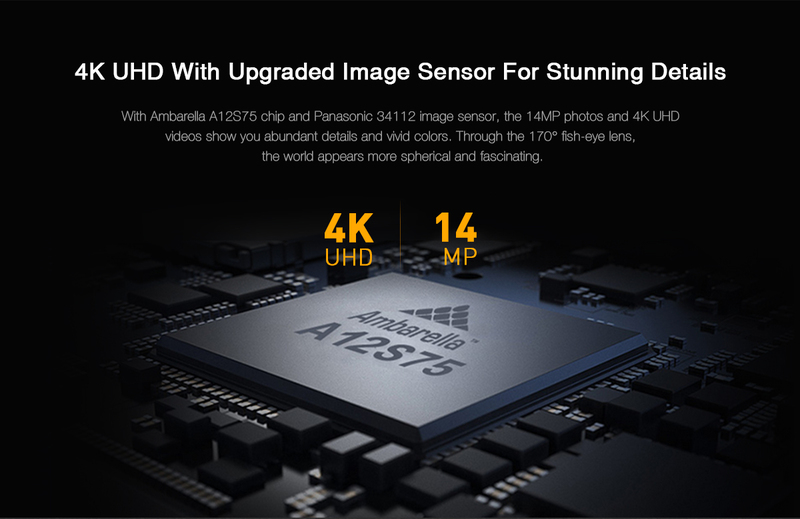 In this camera, Ambarella A12 works, so the real 4K resolution is guaranteed, but this iron also has electronic vibration damping. Plus, there is a secondary display on the camera's side of the camera to see the main settings, which is how we record our recordings. Even if this is not enough, this camera also watched for better physical effects. For this reason, the frame surrounding the electronics and the lens is made of metal rather than plastic. In the case of EKEN Alfawise V50 Pro we liked the war of accessories, which we get with H6s. Included in the package is a tripod that can be attached to the hinge as a grip, a tripod, ie a three-legged stand, and even a new one that can carry all the gadgets and cameras with you. 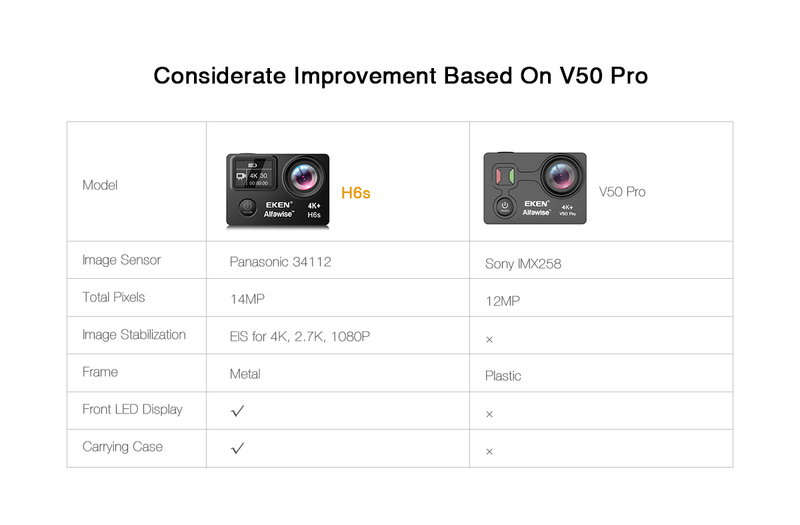 In our opinion, this camera is now worth the price better than the cheapest, the V50 Pro, because vibration damping is a big advantage. Unfortunately, this is also reflected in the price, because we have to leave $ 60 at the checkout against the cheaper 88 dollar price. It should be more precisely because now the GBEBBC005 with a coupon code only costs $ 78, which is a really good price for that knowledge. At the moment of writing this article, there is a number of promotional sets under 10, so if you buy a good camera for the upcoming summer, you shouldn't hurry. 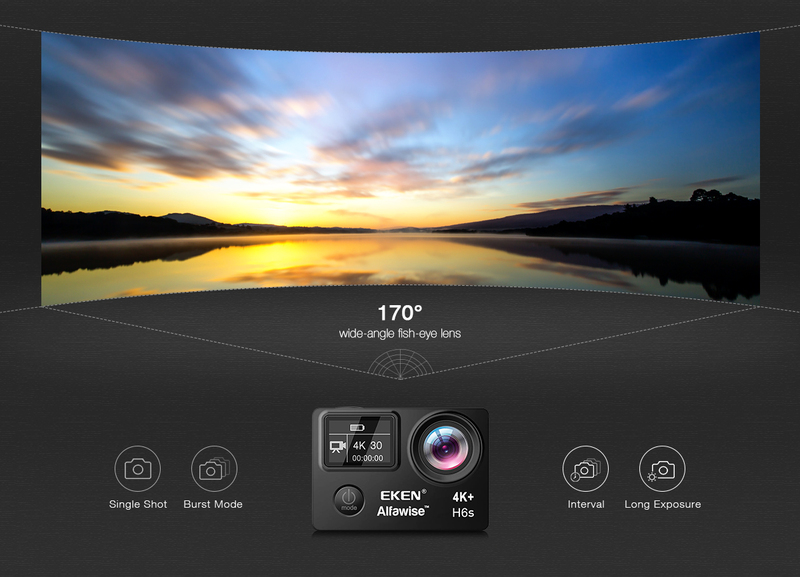 Of course, you don't have to be frustrated if you miss this action because nowadays the genuine 4K price for a real 88K camera is very low.